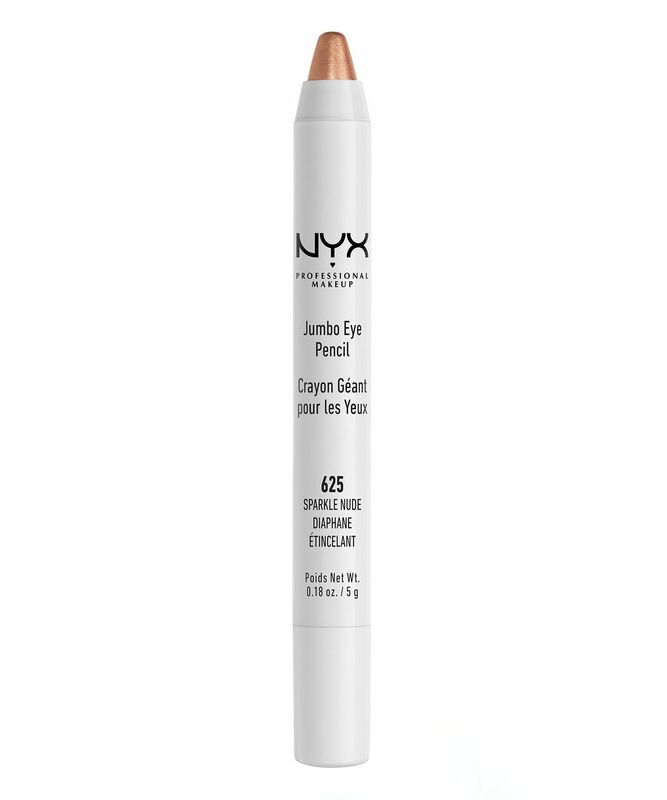 An eyeliner and shadow in one, Jumbo Eye Pencil is a great multi-tasking tool that makes creating gorgeous-looking eye make up a walk in the park. The creamy formula glides on like a dream, without snagging the delicate skin around the eyes and stays vivid throughout the day. Available in a multitude of colourful and classic hues, the pencil applicator allows for greater control and precision when applying, so you can create an intricate statement eye that will be the envy of Instagram. This handy eye colour pencil is the ultimate make up bag staple, whether you want to create a cute liner look or a sweep of shadow across the entire eye area. The pigment is potent enough to act as an eyeliner, but has the blendability of an eyeshadow, so you can work with one individual shade, or mix and match for a peacock-style smoky eye. There are a number of stunning spellbinding hues to choose from: the bright white ‘Milk’ shade is perfect for adding a touch of highlight in the inner corner and centre of the eye; whilst the charcoal ‘Black Bean’ shade can be used for a smoky eye or drawing a bold graphic line. And the wonderfully-named ‘Cottage Cheese’ creates a steely silver shimmer; ‘Sparkle Leopard’ delivers a gorgeous bronzed glow and ‘Rocky Mountain Green’ will take your eyes to Emerald City. Draw along the upper and lower lash line and eye crease. Smudge to soften with fingers, sponge or brush. Isononyl Isononanoate, Octyldodecanol, Ethylhexyl Palmitate, Isostearyl Isostearate, Polyethylene Terephthalate, Euphorbia Cerifera (Candelilla) Wax / Euphorbia Cerifera Cera / Cire de Candelilla, Ceresin, Microcrystalline Wax / Cera Microcristallina / Cire Microcristalline, Copernicia Cerifera (Carnauba) Wax / Copernicia Cerifera Cera / Cire de Carnauba, Polyethylene, Beeswax / Cera Alba / Cire d'abeille, Tocopheryl Acetate, BHA, Butylparaben, Isobutylparaben, Isopropylparaben. MAY CONTAIN (+/-): Mica, Titanium Dioxide (CI 77891), Iron Oxides (CI 77491, 77492, 77499), Carmine (CI 75470), Chromium Oxide Green (CI 77288), Ultramarines (CI 77007), Ferric Ferrocyanide (CI 77510), Blue 1 Lake (CI 42090), Yellow 5 Lake (CI 19140). Isononyl Isononanoate, Octyldodecanol, Polyethylene Terephthalate, Ethylhexyl Palmitate, Isostearyl Isostearate, Euphorbia Cerifera (Candelilla) Wax / Euphorbia Cerifera Cera / Cire de Candelilla, Ceresin, Microcrystalline Wax / Cera Microcristallina / Cire Microcristalline, Copernicia Cerifera (Carnauba) Wax / Copernicia Cerifera Cera / Cire de Carnauba, Polyethylene, Beeswax / Cera Alba / Cire d'abeille, Tocopheryl Acetate, BHA, Butylparaben, Isobutylparaben, Isopropylparaben. MAY CONTAIN (+/-): Mica, Titanium Dioxide (CI 77891), Iron Oxides (CI 77491, 77492, 77499), Carmine (CI 75470), Chromium Oxide Green (CI 77288), Ultramarines (CI 77007), Ferric Ferrocyanide (CI 77510), Blue 1 Lake (CI 42090), Yellow 5 Lake (CI 19140). I love this product, I use it for a relaxed smudgy / smokey eye, it's perfect for that! I put it close to the lash line and then use my finger to spread it. I have rust and dark brown and will be getting a lighter shade as well. Nice pencil but it breaks after a few uses. The only good thing about the product is the pigment for the 10 minutes it's on your eyes. Doesn't last long at all, you get a tiny amount of product (5g) - it doesn't sharpen or twist up... what you see in the photo is the amount of product you get. Was very disappointed by this. It's nice for the inside of your eye, and that's the only reason i'm giving it 2 stars. I have used quiet a few eye pencil shadows liners, I must say this is one amazing product; from the price to the quality it is such a great find. Doesn't move, very pigmented, great quality ( reminds me of charlotte tilbury's shadow pencil ) good as a eyeliner shadow and colour cashmere works great for applying it under my highlight literally makes every highlighter pop. Great for waterline, lasts for hours and does not irritate. Can't wait to try to cut crease with it. Maybe smudgy is what it's meant to be, but I bought it in black and couldn't make it look like anything but oily racoon eyes. I have this in Cashmere and I find it really good; it's so cheap, really pigmented and buttery. Someone here said you can't sharpen it, although you absolutely can and I do regularly. It's a pencil, lady! Anyway, great buy, highly recommend. I have been using this pencil as a go to eyeshadow for work (in sparkle leopard) as it is quick, simple and a lovely colour without being overly flashy. The price is fab and despite having a small amount of glitter, this doesn't irrate my contact lenses. 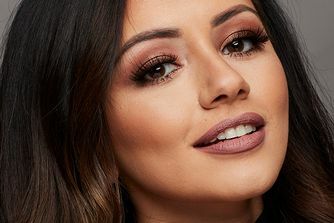 The only issue I have comes from having very hooded eyes - I find if I have not put a primer or used a powder shadow to lock the colour in place then it will naturally move quite a bit and by about 3 o'clock and I'll have very little colour left on my lids.